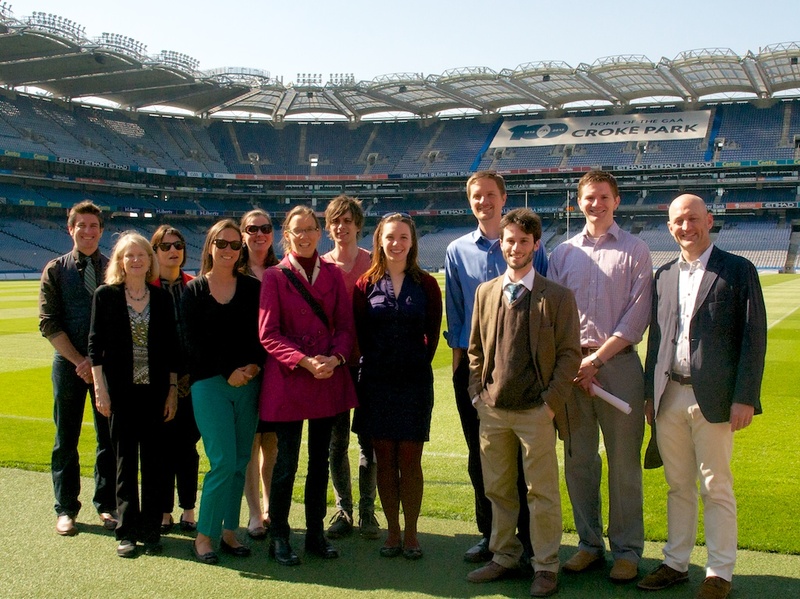 The Fulbright Ireland crew at Croke Park for our farewell field trip. The GAA Museum, as the national custodian of all the archives and artefacts of the Gaelic Athletic Association, is dedicated to promoting an appreciation of the values, culture and history of Gaelic games. The students worked diligently to get their robot bodies form-fitted over their circuit boards and chassis. Please see our RoboSlam blog for more photos of this phase of robot-construction. These students were obviously having a great time building robots! It’s 10pm: Do You Know Where Your Cobblestone Is? The Whelans enjoying another lovely Friday evening at the Cobblestone pub. I galloped down to the Cobblestone tonight to hear my favorite set of the week. The Friday 7:30-9:30 group includes singers as well as instrumentalists. 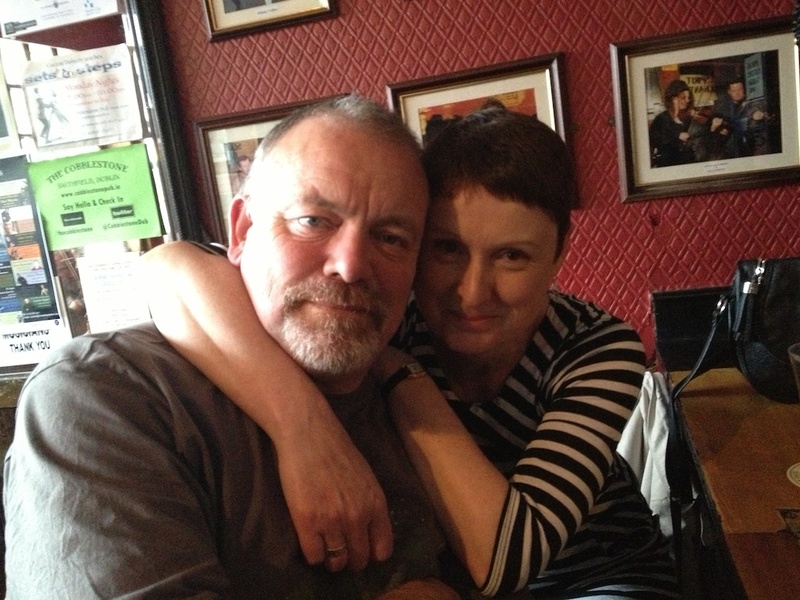 This week the Whelans were there, so I had friends to chat with. It’s bright and cheery in the musicians corner during the evening this time of year… the sun stays up in Dublin until ten pm. And it raises before five am! We are so far north. Fergus sang two fabulous songs while I was there. And we even a guest singers tonight. …who grace the pub on Friday nights. And keep us tapping along. …on nearby Manor Street in Stoneybatter. They’re expanding the Guinness factory here in Dublin and it’s growing by leaps and bounds. It has been fun watching it spring up out of the ground. 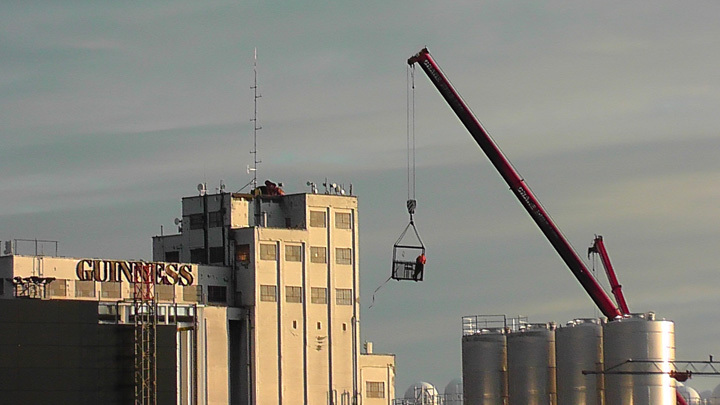 A good friend of mine sent this photo of a construction worker taking a break mid air…. First stop, Croke Park. One of the world’s largest stadiums for amateur sports. 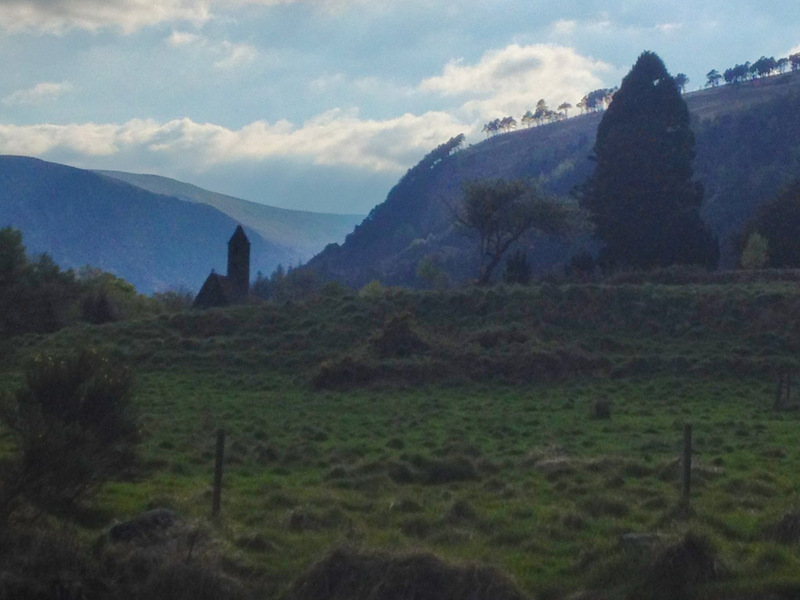 Glendalough boasts a beautiful natural landscape and a religious site constructed during medieval times. It provides an ideal day trip from Dublin. Glendalough or Glendaloch (/ˌɡlɛndəˈlɒx/ glen-də-lokh; Irish: Gleann Dá Loch, meaning “glen of two lakes”) is a glacial valley in County Wicklow, Ireland. It is renowned for its Early Medieval monastic settlement founded in the 6th century by St Kevin, a hermit priest, and partly destroyed in 1398 by English troops. Please visit our RoboSlam website for new photos about Body Building! Building robot bodies on Bolton Street.